Looking for a healthy fresh fruit drink with a unique taste? 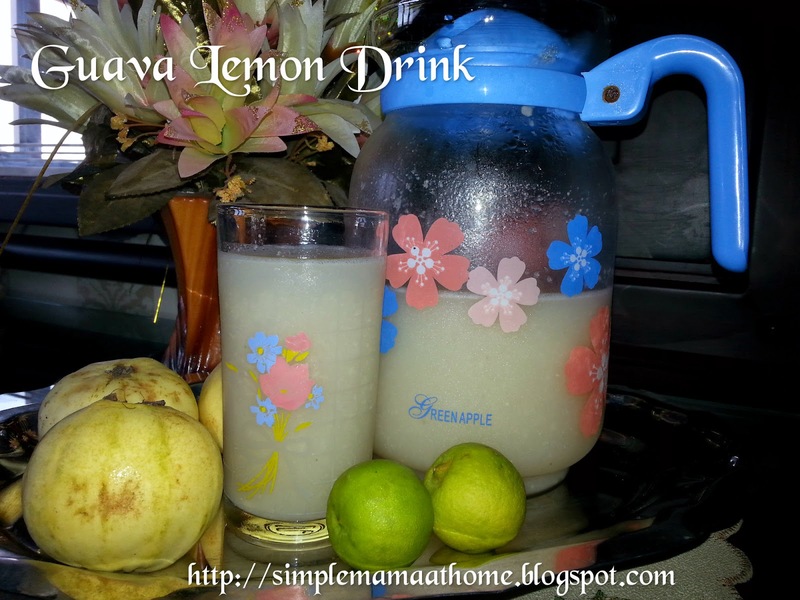 This guava and lemon juice is not only tasty and refreshing. It also has many health benefits. I will admit that when I tasted this fruit for the first time I did not like it. Then I learned that this is a type of food that you have to taste two or three times before you will take a liking to it. Turns out that was correct. 1. Peel off the skin of guava and chop into chunks. 2. In a medium saucepan add guava chunks, sugar, and water. Heat on low flame until sugar dissolves. 3. Cover with lid and continue to cook on low flame for 10 minutes. Remove from heat and let cool. 4. Pour mixture into a blender and mix for one minute. Filter mixture through a strainer to remove any seeds. 5. Add lemon and 2 cups of water. Mix well and refrigerate. I have not had guava in a long time, and for some reason, we rarely finish one. This would be a great way to use it. Thank you for stopping by as well as hosting the Creative Style Linkup. I've never tried Guava, but I'm up to try anything once! Thanks for sharing with us at Merry Monday!